Diana Shipping Inc. (NYSE: DSX), a global shipping company specializing in the ownership of dry bulk vessels, today announced that it has signed, through two separate wholly-owned subsidiaries, two Memoranda of Agreement to sell to two affiliated parties, the m/v Danae and m/v Dione, each a 2001-built dry bulk vessel, for US$7.2 million each. The sale of the Vessels was approved by disinterested directors of the Company and were sold at a price equal to the higher of two independent broker valuations. The Company expects the m/v Danae to be delivered to her buyers at the latest by June 28, 2019 and the m/v Dione to her buyers at the latest by April 15, 2019. The Company also announced that, through a separate wholly-owned subsidiary, it has entered into a time charter contract with Glencore Agriculture B.V., Rotterdam, for one of its Ice Class Panamax dry bulk vessels, the m/v Crystalia. The gross charter rate is US$10,500 per day, minus a 5% commission paid to third parties, for a period of minimum fourteen (14) months to maximum seventeen (17) months. The charter is expected to commence on February 23, 2019. The “Crystalia” is a 77,525 dwt Ice Class Panamax dry bulk vessel built in 2014. 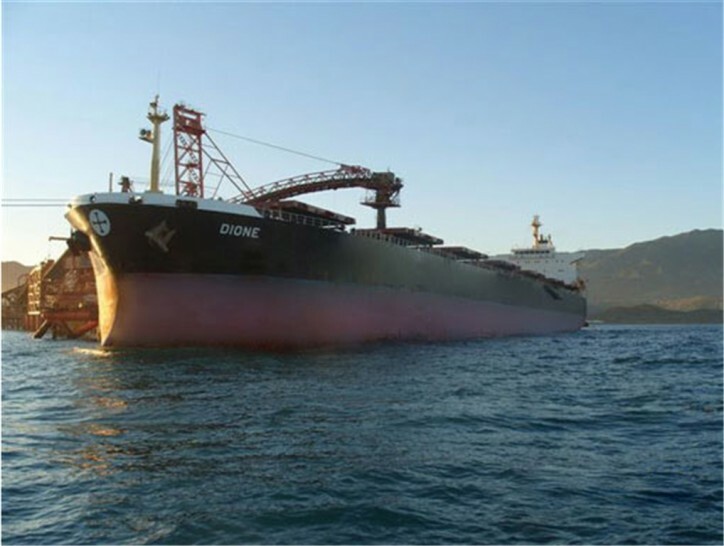 Additionally, the Company announced that, through a separate wholly-owned subsidiary, it has entered into a time charter contract with Glencore Agriculture B.V., Rotterdam, for one of its Panamax dry bulk vessels, the m/v Maera, for a period of minimum fourteen (14) months to maximum seventeen (17) months. The gross charter rate is US$7,000 per day for the first forty-five (45) days of the charter period and US$9,450 per day for the balance period of the time charter, in each case minus a 5% commission paid to third parties. The charter commenced on February 10, 2019. The “Maera” is a 75,403 dwt Panamax dry bulk vessel built in 2013. The employments of “Crystalia” and “Maera” are anticipated to generate approximately US$8.27 million of gross revenue for the minimum scheduled period of the time charters. Upon completion of the aforementioned sales, Diana Shipping Inc.’s fleet will consist of 46 dry bulk vessels (4 Newcastlemax, 14 Capesize, 5 Post-Panamax, 5 Kamsarmax and 18 Panamax). As of today, the combined carrying capacity of the Company’s fleet, including the m/v Danae and m/v Dione, is approximately 5.7 million dwt with a weighted average age of 9.26 years.